Subscribe for free tips, diffuser recipes, DIY ideas, and more! When you take the precious, therapeutic fluids from aromatic plants and you super concentrate it, what you end up with is an essential oil! Young living is the world leader in essential oil research and distillation. Young Living farms are not treated with pesticides or harsh chemicals. 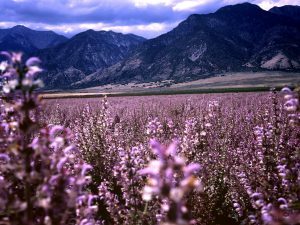 Young Living owns sustainable farmland and essential oil distilleries in 7 countries. Young Living is the largest worldwide grower of therapeutic-grade essential oils. Young Living sets the standard for purity with their Seed-To-Seal promise. I am the Founder of Sweet Dreams Foundation. Our organization gives dream bedrooms to children who battle life threatening illnesses. After seeing so many children battling cancer and other illnesses, we decided to take it a step further and offer wellness inspiration. Oils have helped my family and the Sweet Dreams Foundation! Frankincense - it was given to Jesus so it must be amazing! Plus it smells wonderful!